Most insurance policies contain limitations of coverage for "wind driven rain". It is important for consumers to be aware of this common provision in the event of a loss, but most policyholders do not understand the differences between rising water or wind driven rain when it comes to water damage. If your property has water damage, you just want resolution without needing a translator. Consumers often think that their property insurance policies should be common sense; if the interior of their insured building is damaged, it should be covered. But, insurance policies are filled with legal jargon that present challenges for the policyholder to translate. Simply put, wind driven rain is damage caused by rain that was propelled by wind through the window seals or door seals. In other words, if the wind was not in the equation, the water would never have made it into the dwelling to cause damage. According to the National Flood Insurance Program; "When rain enters through a wind-damaged window or door, or comes through a hole in a wall or roof, the NFIP considers the resulting puddles and damage to be windstorm-related, not flood-related. Flood insurance covers overflow of inland or tidal waters and unusual and rapid accumulation or runoff of surface waters from any source." Determining if damage to your dwelling was caused by water that blew in sideways or water that seeped in via gravity is a whole new mystery. In calm weather raindrops fall vertically, but in windy weather, raindrop paths are angled. The amount of rain striking a structure at an angle can be a very damaging source of moisture. The windstorm coverage, according to Mississippi Windstorm Underwriting Association, covers "direct physical loss(es) to the property covered caused by windstorm and/or hail" but "does not cover loss to the inside of a building caused by rain, water, unless the direct fore or wind or hail damages the building", so if there is no damage to the building, then there is not coverage for the damage. This is why so many claims were denied following Hurricane Isaac, because the adjusters and engineers determined that the wind caused the rain to seep in through the seals of the windows, which is a maintenance issue or may indicate that the windows were not installed properly. Either way, this is not a covered peril under the policy. Quantification of wind driven rain began in the 1950's using measurements with rain gauges and observing relation between droplet size, precipitation intensity and drop speed. The results determined that each environment and each individual building differ. In the 70's studies focused on calculating wind driven rain distribution on buildings using predictions based on wind tunnel measurement and raindrop trajectory tracing (using Newton's law for force equilibrium between gravity, wind drag and inertia). With each major catastrophe in the U.S., studies on wind driven rain are re-vamped and changes are made. Builders have benefited from the research in many ways including assembling walls constructed to avoid wind driven rain damage. When you have water damage to your property, adjusters must determine whether there was damage (an opening) to the roof or walls through which the rain entered and, if so, was the damage caused by a covered peril under your insurance contract. Inherent in the first question is the issue of whether any opening identified was of sufficient size to permit entry of enough water to cause the damage claimed. Flood insurance covers overflow of inland or tidal waters and unusual and rapid accumulation or runoff of surface waters from any source. Although flood insurance specifically excludes wind and hail damage, the good news is that your Trusted Choice Agent can provide the coverage you need to protect you in the event of wind damage to your property. around your windows and doors, especially near the corners. Check for peeling paint, it can be a sign of water getting into the wood. Inspect for discolorations in paint or caulking, swelling of the window or doorframe or surrounding materials. Flashing, which is typically a thin metal strip found around doors, windows, thresholds, chimneys, and roofs, is designed to prevent water intrusion in spaces where two different building surfaces meet. Replace wood siding and sheathing if it appears to have water damage. Inspect wood-sided walls to ensure there is at least 8 inches between any wood and landscaping materials or dirt. Exterior walls should be kept well painted and sealed. Check the roof for signs of deterioration or leaks. Make sure all drains and gutters are clear. Landscape features should not include soil or other bedding material mounded up against walls. from any exterior building surface. This will help prolong the life of your siding and roof and prevent moisture and insects from entering the building. because they can help open cracks in the siding, which allows moisture to enter the building. – Inspect and adjust the spray pattern of the irrigation heads to minimize the water sprayed directly onto the building to avoid excessive water near the foundation. Now is the time to meet with your Trusted Choice Insurance Agent and review your policies. Ask questions! Make sure you have the proper amount of coverage. Be prepared! 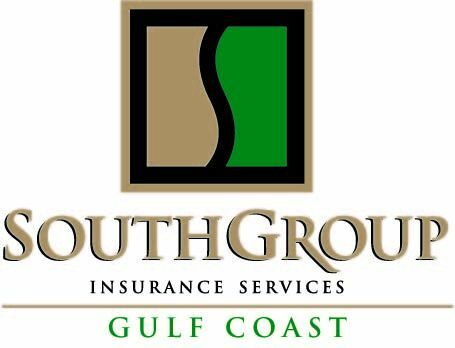 Schedule your insurance review with SouthGroup Insurance - Gulf Coast today. We have 3 convenient locations to serve you, and we look forward to helping you translate the language of your insurance policies. Dude! Don't Steal My Identity!